They say- time is money. It is very much true in the sense that time saved is equivalent to money earned. And in the corporate world, where every moment counts, time is an important factor. It is important that the accurate work time is recorded for both the employers and employees. That is the reason why timesheets were designed to keep track of hours of work of an employee. These days you can also get a free online timesheet on many websites. When it comes to timekeeping of the work hours of an employee, several factors have to be kept in minds such as regular attendance, clock in and out time, schedules and meetings. Doing them the traditional way is not only tedious but is also subject to error. The best way to make this process error-free is to use software which does the work for you. That way you can be assured of accurate work. What could be the Problems Associated with Paper Timesheets? Gone are the days when paper timesheets were used to keep track of a number of hours of work the employee has put in. Paper timesheets are difficult to maintain and even more difficult to keep track of. Imagine handling those paper timesheets and keeping a record of them. Not only you could lose them, but also a huge space is required to store them. When you need to find a certain record, you have to sift through the records which make the process time taking. 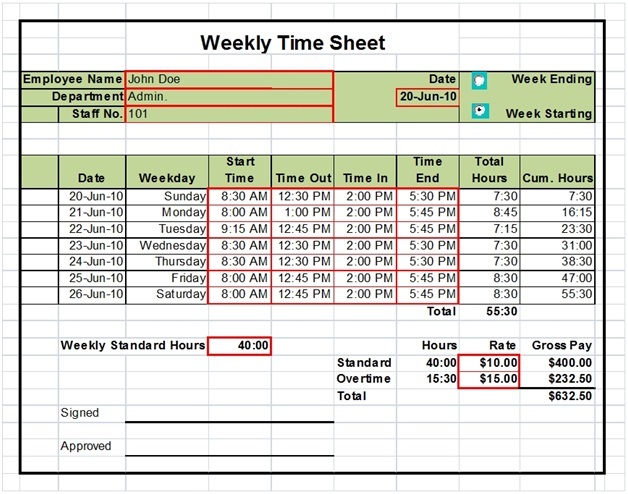 While using paper timesheets, you have to nag your employees constantly to turn in their timesheets. In a big organization, it usually takes extra manpower to keep track of employees who have submitted their timesheets and who have not. This, in turn, makes payroll processing difficult. On the employee’s side, maintaining everyday record is difficult and there is every chance of mistake which might happen during filling up the timesheets. To make matters worse, there might be some who intentionally alter their time in and out. In any case, it is difficult to find out and the entire process becomes extremely messy. These practices cost a lot of money to the organization if calculated on an average basis. A timesheet indeed makes things easier. But, what kind of timesheet you are using, that matters. For instance, if you are using timesheet software, you can get many benefits. To get a free template, you can also download a free online timesheet from any of the websites available to get a hang of it. 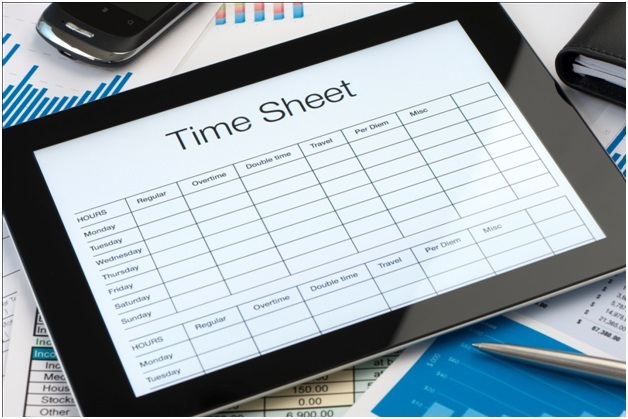 Online timesheets save your time, manpower and money which you can put to better use in some way in your organization. You can even find many advanced features with online timesheets which lets you do many other things apart from timekeeping. An online timesheet is the best way to manage employee attendance as well as keeping track of other things. It makes administration easier and efficient and creates a healthy work environment in the office.